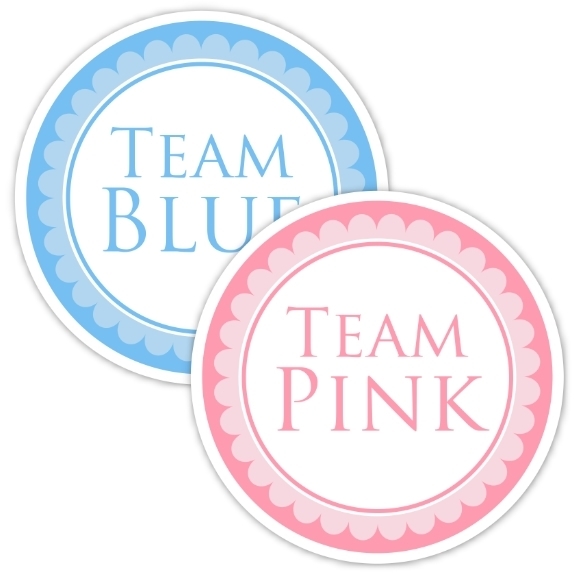 Get 48 Gender Reveal Stickers or Baby Shower Stickers for your party! You'll get 24 Team Blue and 24 Team Pink peel-and-stick stickers. The stickers are 2.5 inch round. We ask for 3 business days to fulfill your personalized sticker order; then add ship time. Shipping is at a flat rate of $3.00 per order.